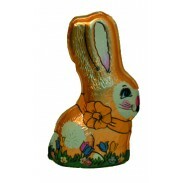 Chocolate Easter bunnies are the crown jewel of any Easter basket. Made from the finest ingredients and molded into fun and festive bunny shapes, Sweet City candy will help make every child's Easter wishes come true, all at the lowest wholesale prices available. 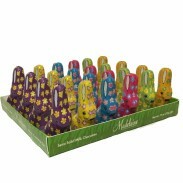 We have milk chocolate, white chocolate and dark chocolate Easter bunnies and even sugar-free chocolate rabbits in a range of sizes. 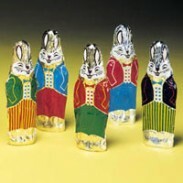 There's Peter Rabbit, Cottontail, Little Beauty Bunny, Hippity Hop Bunny, Professor Rabbit, Parsnip Pete and Bunnyettes. 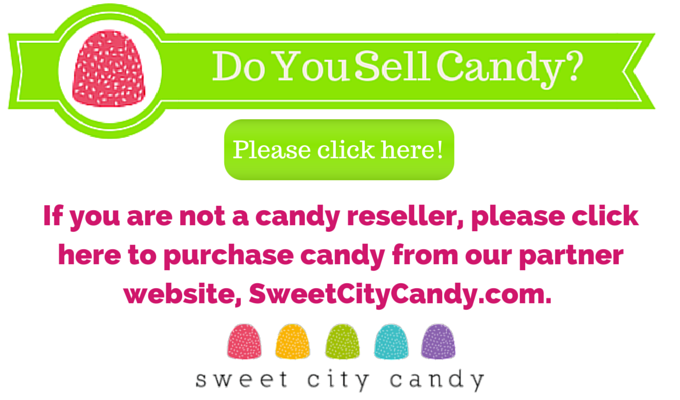 Whether you want a large bunny for your Easter basket centerpiece, or small bunnies for filling party favor bags and candy dishes, Sweet City Candy has it all! We have bunnies that are sitting, standing and lying down, foiled and unwrapped, dark, white and milk chocolate, large and small – all from top chocolatiers such as Madelaine and Palmer. 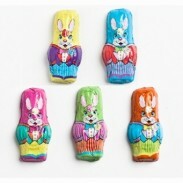 Sweet City Candy's entire selection of chocolate Easter bunnies is listed below. If you have any questions about our Easter bunny candy selection, visit our FAQ section or contact us for more information. 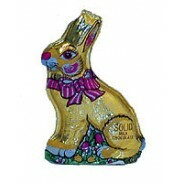 Our friendly staff will be happy to answer any questions you may have about chocolate rabbits. 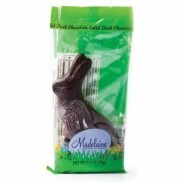 *Madelaine Sitting Rabbits Dark Chocolate 2.5oz. 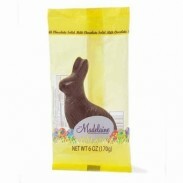 Madelaine Foiled Sitting Rabbit 2.5oz. 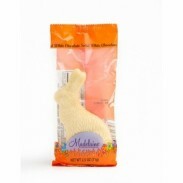 Madelaine Long Earred Rabbits 2oz. 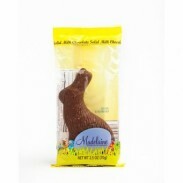 Madelaine Sitting Rabbits Milk Chocolate 2.5oz.